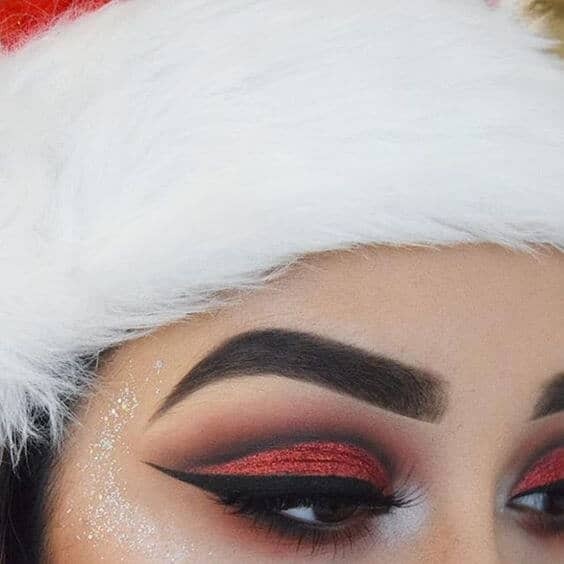 Decorating for the holiday season does not have to end at your home. 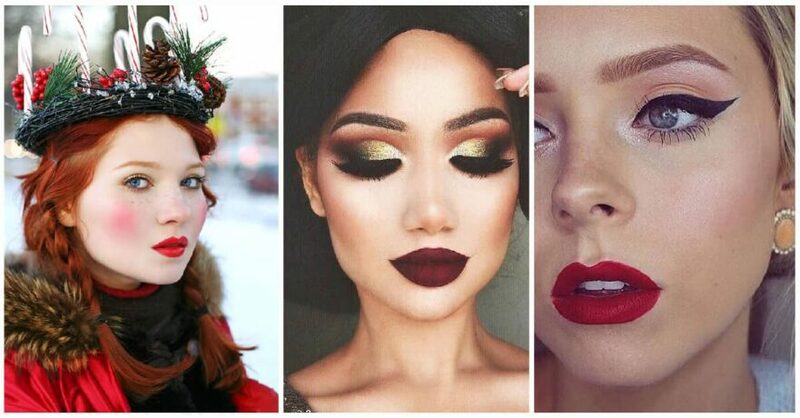 Bring a touch of Christmas spirit right to your body with these 25 gorgeous and easy Christmas makeup designs!
! 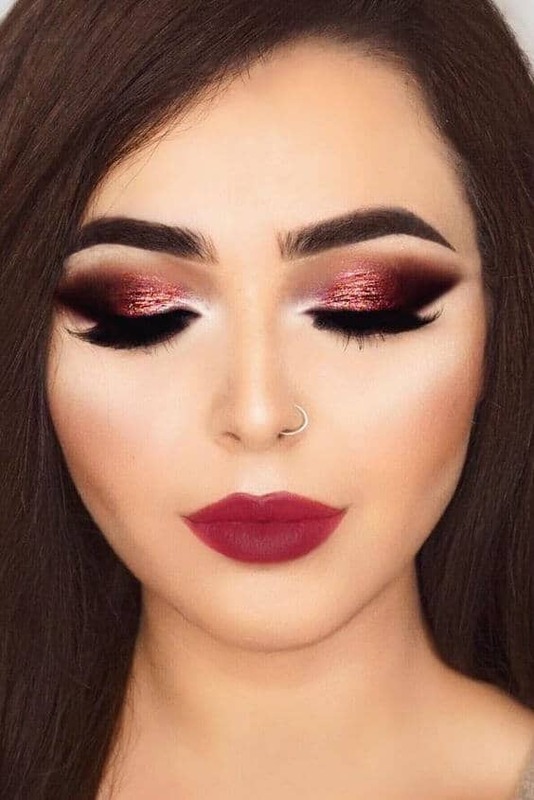 Whether you are dressing up for a glamorous holiday party, attending a Christmas event, or just hanging out with loved ones at home, these cosmetics designs will help you look festive. 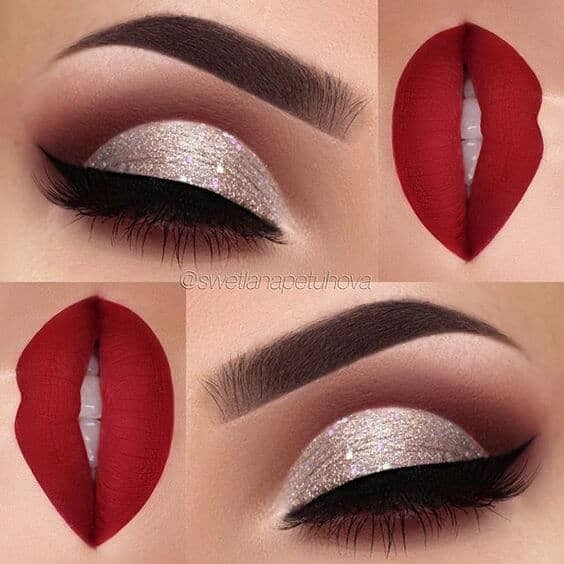 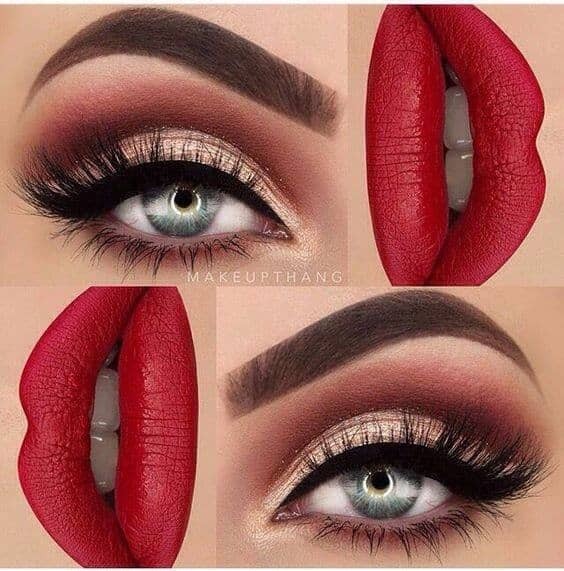 Many of these Christmas makeup looks feature bright red lips, perfect for matching the color of holly berries, wrapping paper, and candy canes. 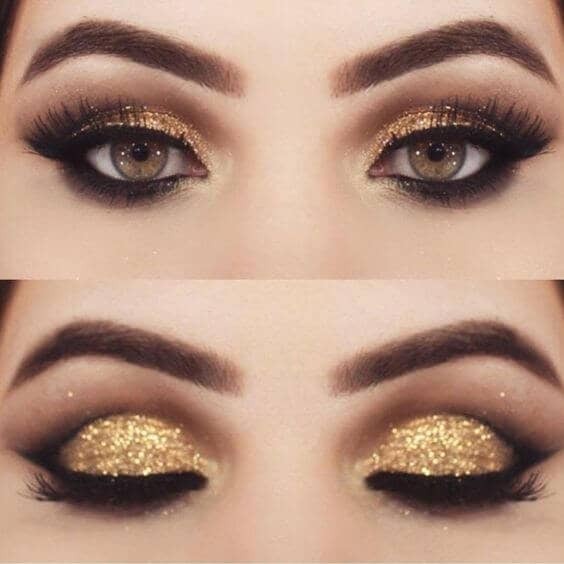 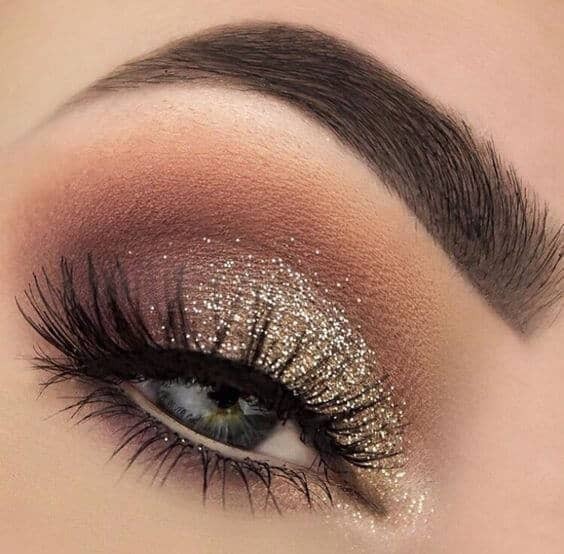 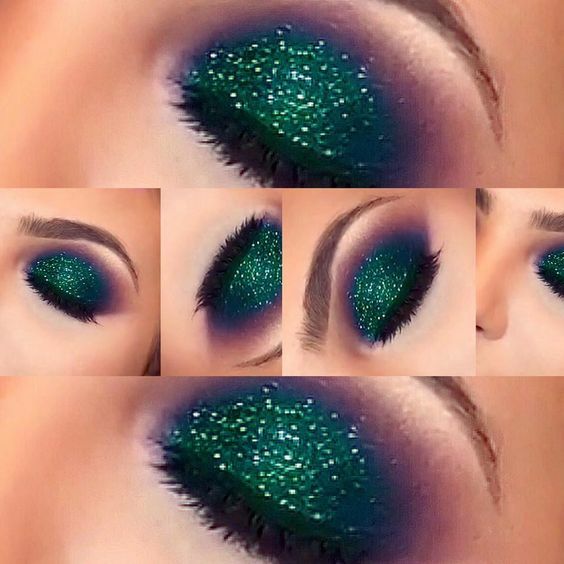 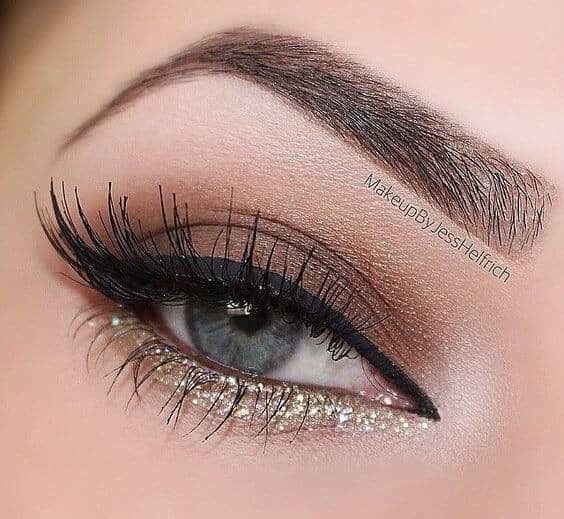 With tons of pretty glittery eye looks, your makeup will remind people of the sparkling ornaments on the tree or snow on the ground. 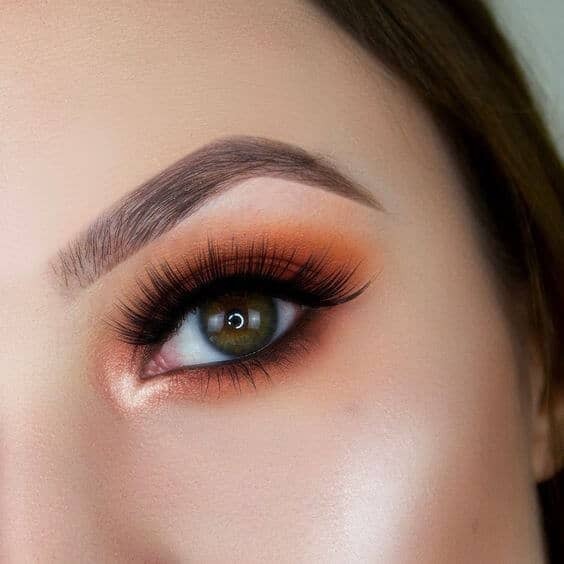 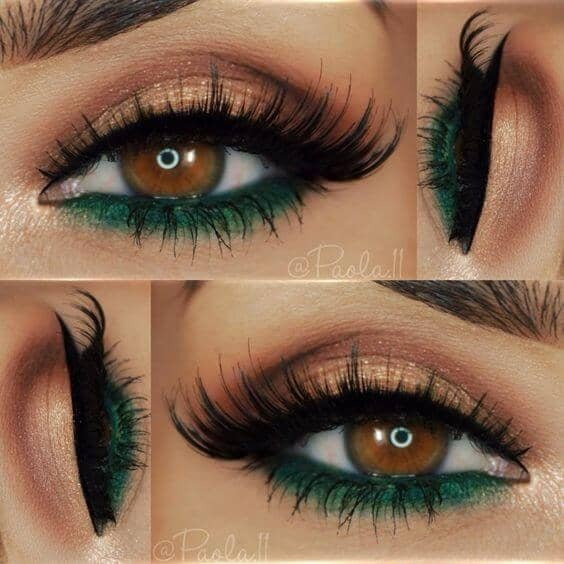 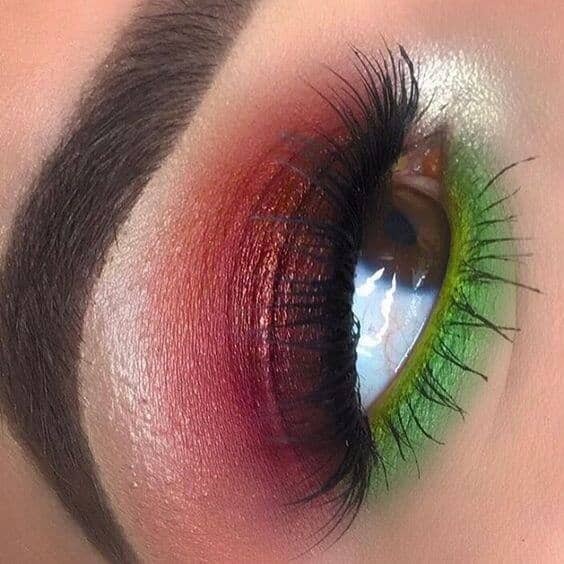 If you are feeling adventurous, try one of the red or green eye looks. 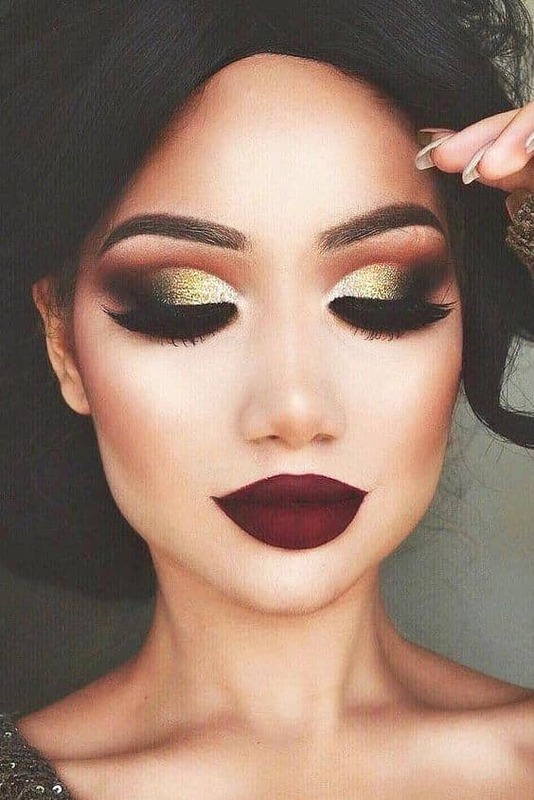 There is no time like the holidays to experiment with makeup! 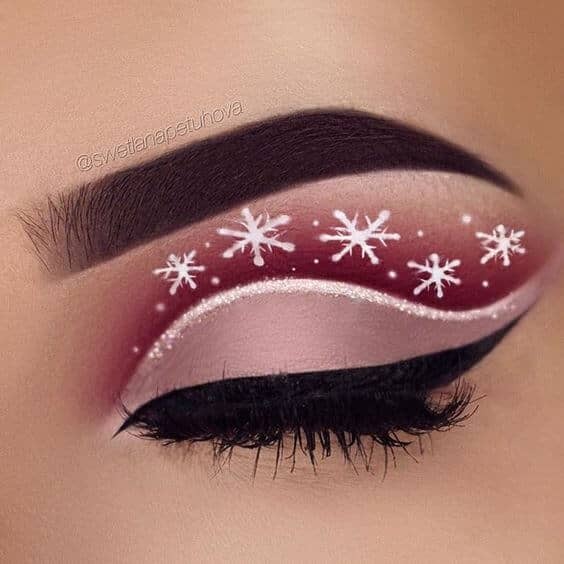 Channel the sugar plum fairy with purple or look like an ice princess in light blue and white. 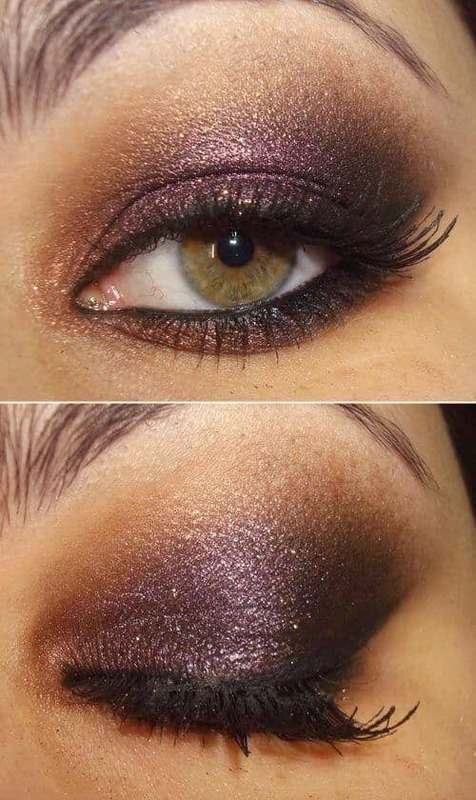 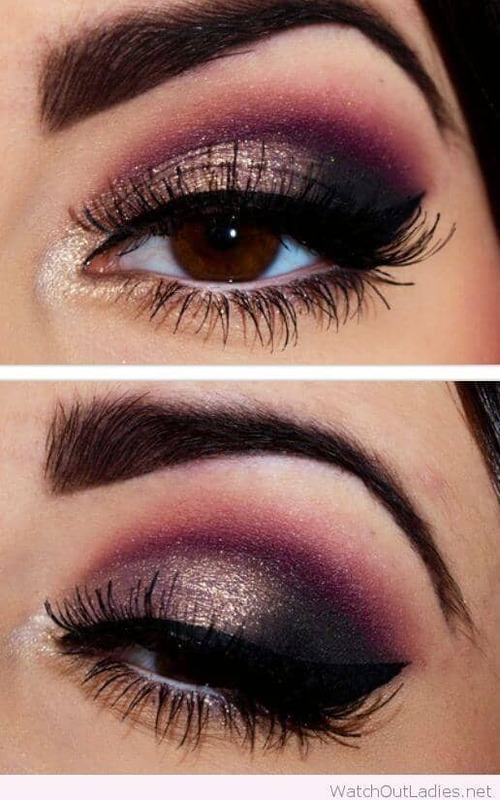 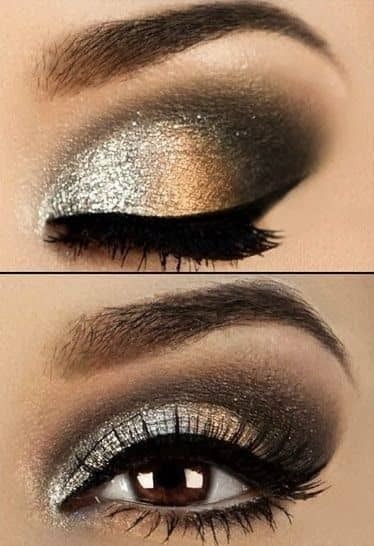 Or try the dark, smoky eye designs, perfect for attending late-night holiday soirees. 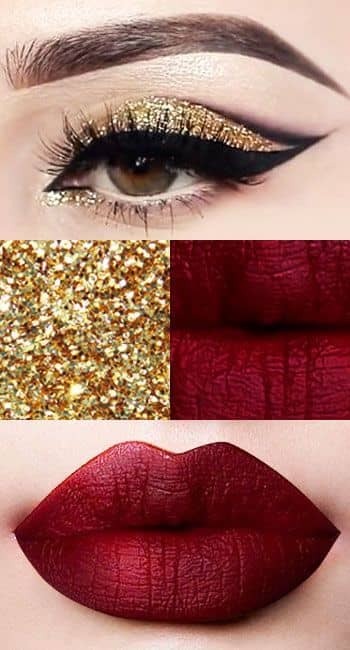 This list has makeup ideas from subtle to bold, so there is inspiration for every mood, occasion, and personality. 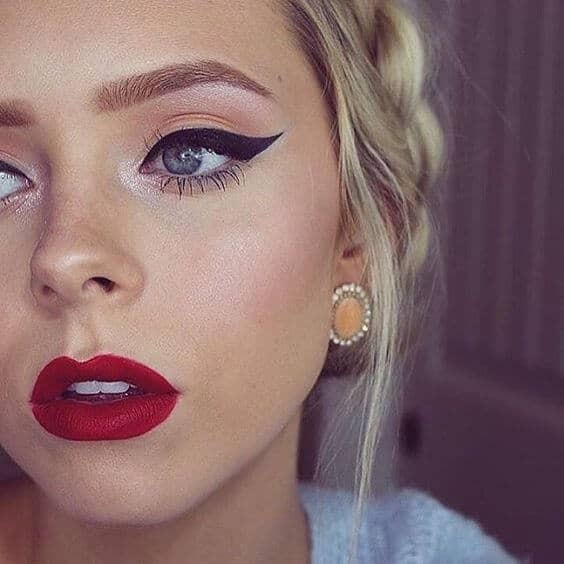 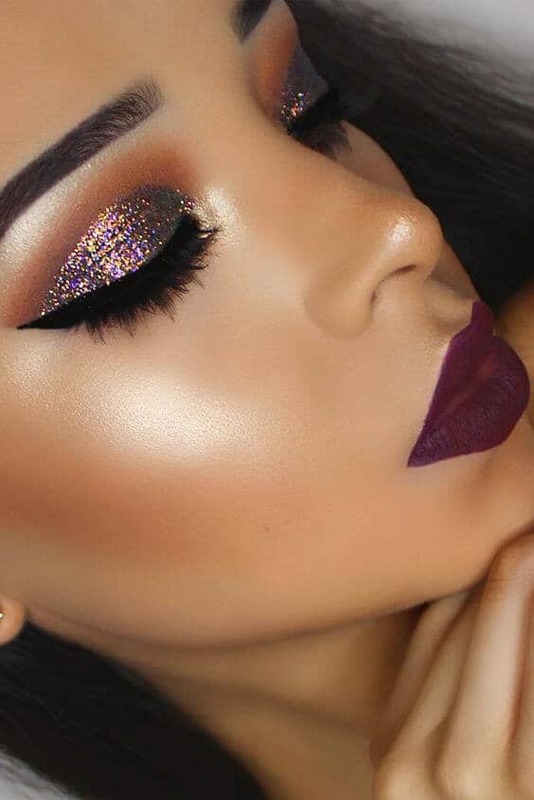 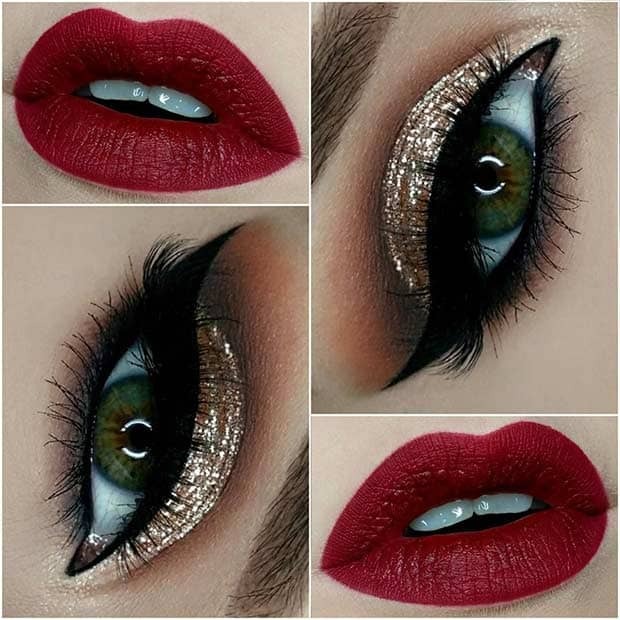 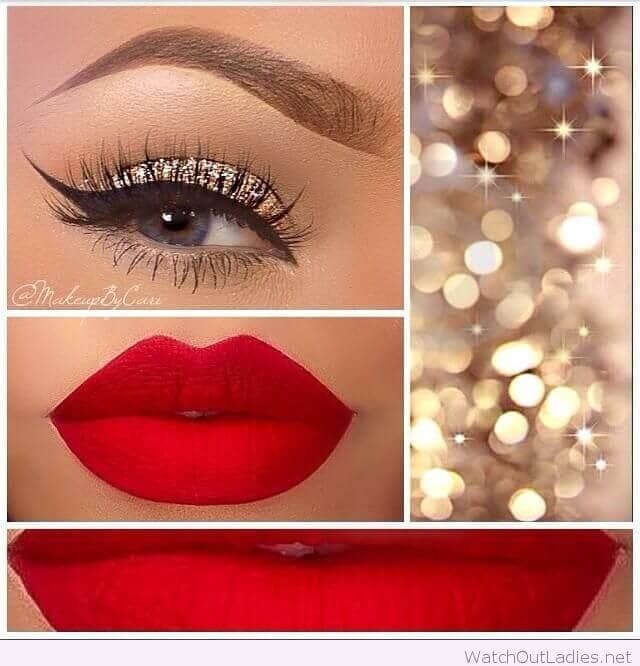 Read on to learn more about all 25 beautiful Christmas makeup ideas!